Limited seating available, so please RSVP by 1:00pm April 2, 2019 to save your spot! 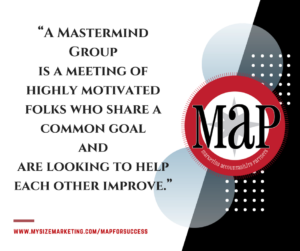 Discover solutions to your marketing needs with fellow business owners 2 to 3x a month in a marketing “Mastermind” group. 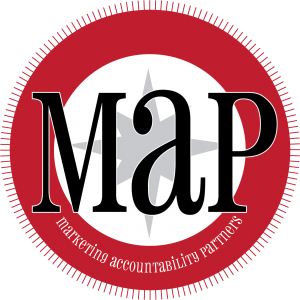 Be led by our experienced MAP Marketing Consultant in group sessions and 1-on-1 monthly consultations. Achieive your marketing goals in just 90 days! Be led by our experienced MAP Marketing Consultant in group sessions and 1-on-1 monthly consultations.Click here for Melody’s bio. 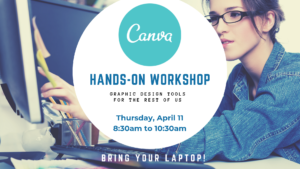 In this “hands-on” workshop, Melody of MY SIZE MARKETING will walk you through how to create your own professional looking graphics in just 2 short hours. EARLY BIRD SPECIAL – $40 per person, if booked & paid for by Friday, March 29, 2019. 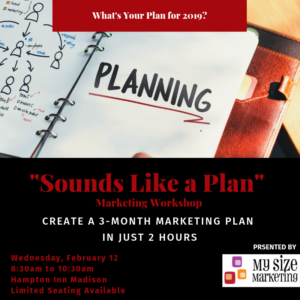 Email me at melody@mysizemarketing.com to save your spot….space limited to 10 participants! 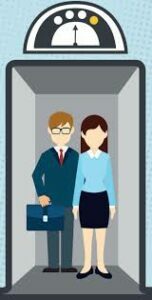 No matter what business you’re in, you always have a chance to make that first “good impression.” So how do you create that 30 second “Elevator Speech” that connects you & your business to other people? In this workshop, we will break down what exactly an “Elevator Speech” is, and how to hit all the highpoints of your business, while making it memorable for anyone you meet. Join us for this fun, hands-on workshop and walk away with a new key for success!